Center for Dairy Excellence seeks 10 farms for pilot herd health care project. Got a dairy herd that might benefit by improving herd health and cow care? Then look into a new offer by Pennsylvania Department of Agriculture's Center for Dairy Excellence. The center is seeking candidates to participate in its new pilot Herd Health and Cow Care Improvement Project. It's being supported by a grant from the Pennsylvania Soybean Board. 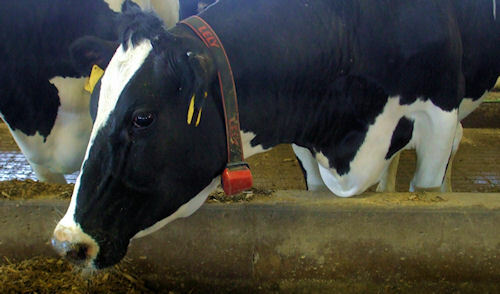 CREATURE COMFORTS: Cow care is one of the big factors of dairy farm profitability. And that's what center's new pilot program hopes to boost. "Herd health care can have a significant impact on a dairy farm's profitability and on consumer perception of the dairy industry," says John Frey, executive director of the center. "Identifying problems related to this area and developing a step-by-step approach to resolving those issues can strengthen the farm's bottom line while demonstrating its commitment to animal care. Through this project we'll help more farms improve herd health." Each participating farm will have up to $1,000 in financial support to work with the herd's veterinarian and a Penn State veterinarian. The goal will be to improve a cow care component of the dairy that will ultimately enhance overall herd health and animal care on the farm. Participating farms will provide details of their work in improving their specific herd health and animal care focus. That information will be shared with the dairy industry to help other dairies explore how to resolve similar issues. "Working with these farms will help the center develop a tool to aid other producers quickly assess and identify steps to improve herd health care on the farm," Frey adds. Applications for the pilot project must be submitted by Nov. 15. They are available from the center by calling 717-346-0849 or emailing info@centerfordairyexcellence.org. Farms will be selected for the project on a first-come, first-served basis with considerations given to the herd management support area and regional location. The Center for Dairy Excellence is a non-profit organization initiated by the Pennsylvania Department of Agriculture.